i had hoped you really would stay six forever and ever, but today you decided you really like being seven. and you know what? i decided i really like you being seven too. every day with you is a gift, tristan, and every day i love you. Seven! !...how quickly it will be seventeen!! Our little man is growing up much too quickly! 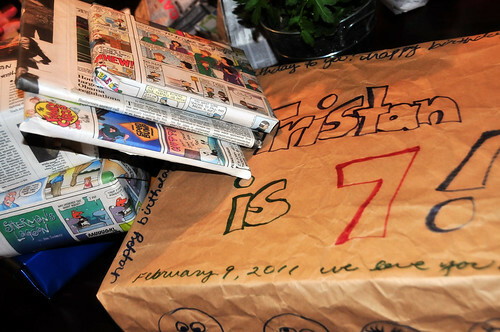 Looks like 7 was a fun party! My son's birthday was today, also. One day he was 7 and today he was 48! Make the most of each day with the kids, as there's still so much I wanted to do with my boys and they grew up too quickly. 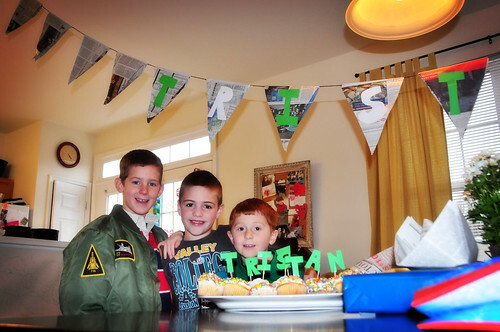 Happy Birthday, Tristan!! We hope you have a great day! Ack! Birthday posts always make me weepy. Happy birthday to Tristan. He is a handsome little guy! 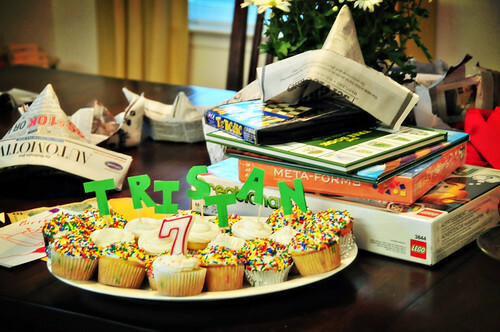 Happy birthday Tristian! I hopoe your day was ntohing short of super-duper wonderful!